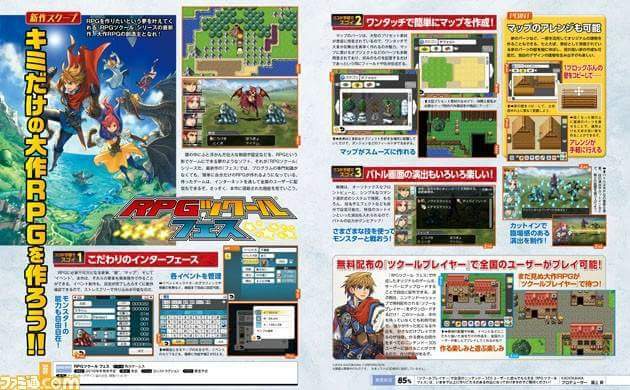 Famitsu has revealed that game creation tool, RPG Maker, is going to grace the dual screens of the Nintendo 3DS as soon as later this year. Famistu announced and showed screens of RPG Maker Festival, which as Famistu reported is around 85% done and has a Japanese release due later this year. No information yet on if a western release is on the horizon but Famitsu promises more information down the line. 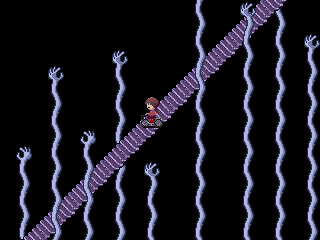 RPG Maker has graced both consoles, Pc screens, and hand helds for around 30 years and gave birth to fan favorite games like Yume Nikki and Corpse Party.